It’s that time of year!!! Halloween. Who can say no to that? We started prepping for our party, so I’ll be posting a handful of goodies that came out of our night of baking and crafting. So excited to share with everyone. We set up the crockpot, on high, and put in the white chocolate chips. 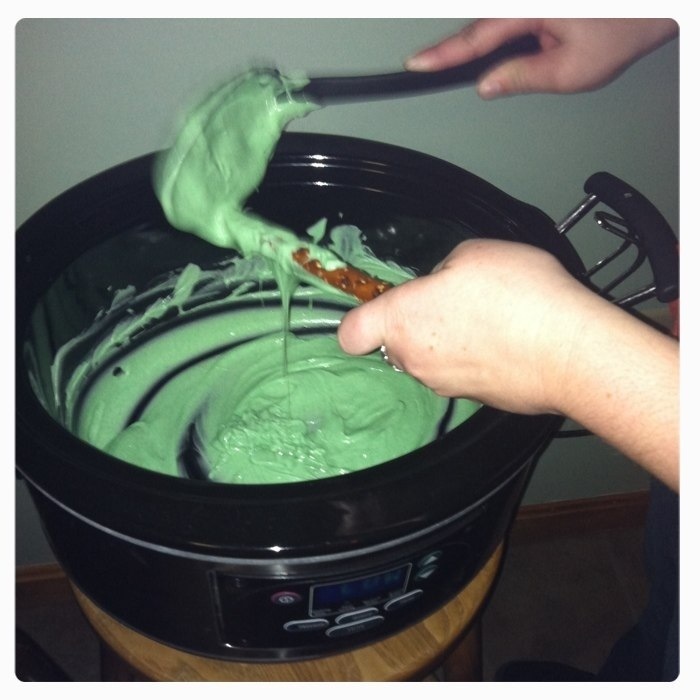 When they melted, we stirred in green food dye until we got the color we liked. 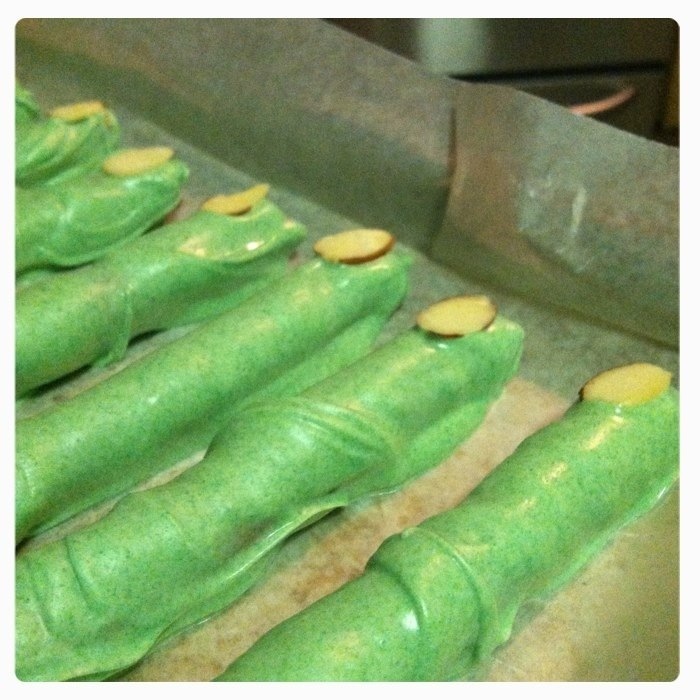 Then placed them on the cookie sheet and added one sliced almond to the covered end to look like a finger nails. Don’t worry if the chocolate isn’t smooth. It looks better that way!